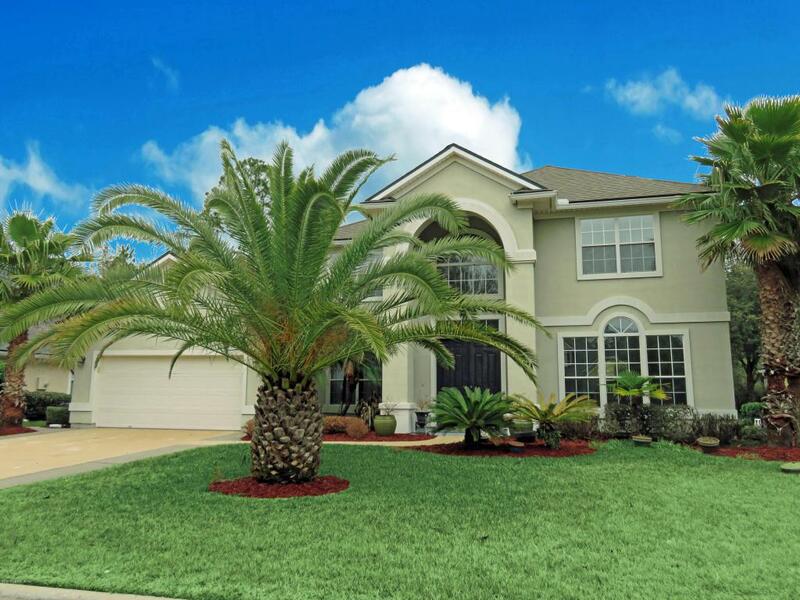 Welcome home to this stunning 2 story 4 bedroom, 3 1/2 bath pool home with bonus/game room on a premium preserve estate lot & cul-de-sac street in South Hampton. Fantastic floor plan built by Beazer Homes in 2004 with 3458 square feet of living space. Interior features include wood floors, impressive 2 story entry foyer, custom moldings, custom paint, round corner bead, ceramic tile installed on a diagonal, fireplace with mantle, ceiling fans, upgraded lighting, arched doorways, 8' interior doors, security system, inside laundry, recessed lighting, rocker panel switches, & custom blinds. Gourmet kitchen has 42" raised panel cabinets with rope crown molding, island, & glass front display cabinet, corian counter tops, walk in pantry, eat in window in nook, sink with sprayer feature & soapdispenser, ceramic tile, recessed lighting, tile backsplash, dishwasher, smooth top range/self cleaning oven, refrigerator, & built in microwave. Private owners suite has tray ceiling, bay window, ceiling fan, his & her walk in closet, ceramic tile, his & her vanity, garden tub, & separate shower with listello tile. Exterior features include full stucco exterior, double doors at entry, 2 car garage with automatic opener, attic stairs & storage shelves, screened paver lanai with in-ground pool & spa with water feature, irrigation system, gutters, & vinyl soffits. Outstanding St Johns community golf course community with NO CDD FEES and neighborhood amenities makes this a great place to call home.